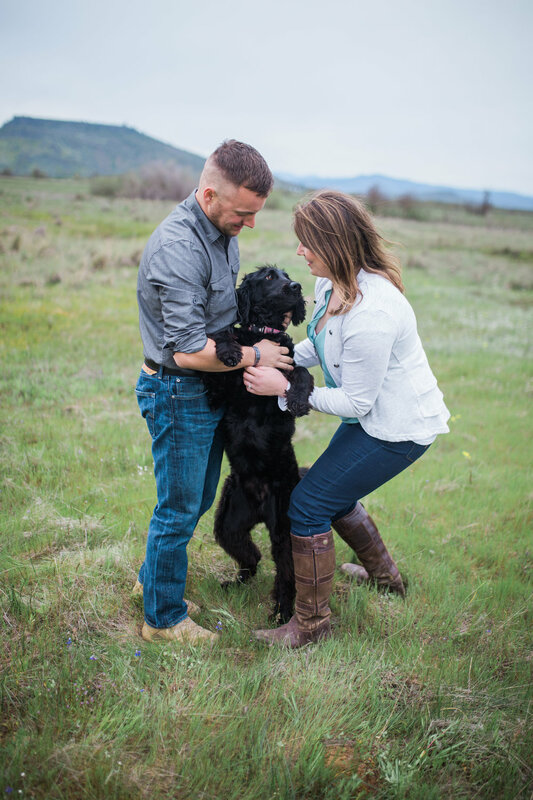 You may have trouble finding a sweeter couple or a happier dog. 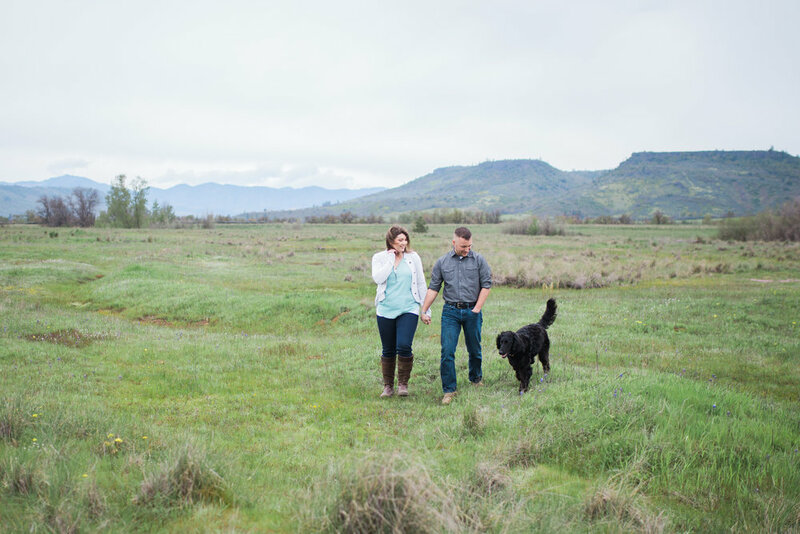 I drove down to the beautiful Southern Oregon for Lauren and Mike's engagement session and man was the drive worth it. I always have fun at sessions, but when you throw a dog like Ari into the mix, I am on cloud nine! 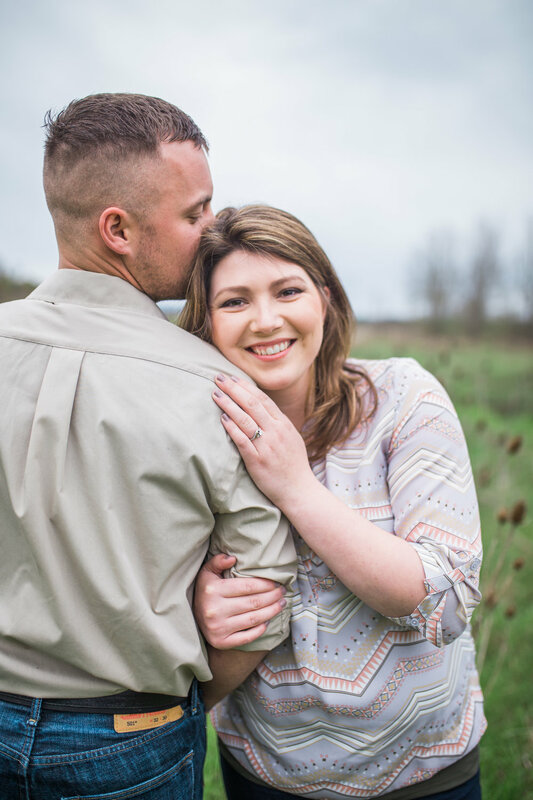 Lauren and Mike just exude love and were so easy to pose because of it. Would you believe they've never had their photos taken before as a couple AND they told me Ari is usually camera shy . . . what. 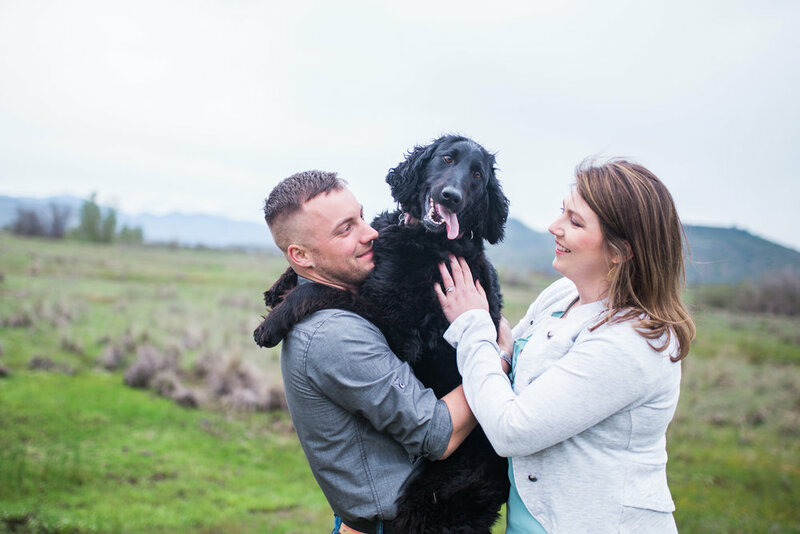 Many of my clients ask if their fur babies can join us for their engagement session and the answer is always an enthusiastic "YES!" 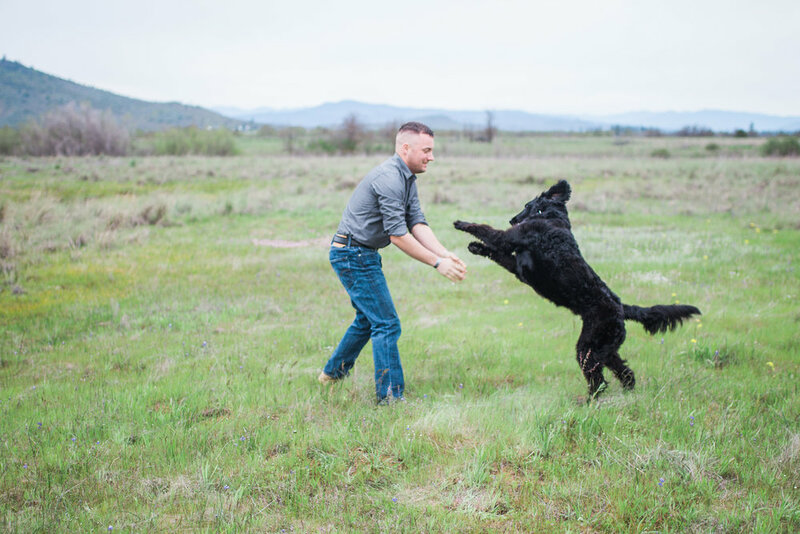 Scott and I are waiting for our time to get a pup, so in the meantime, please let me love on yours! Pets do make the nature of the session a little more candid and free form, but that's more my approach anyways. 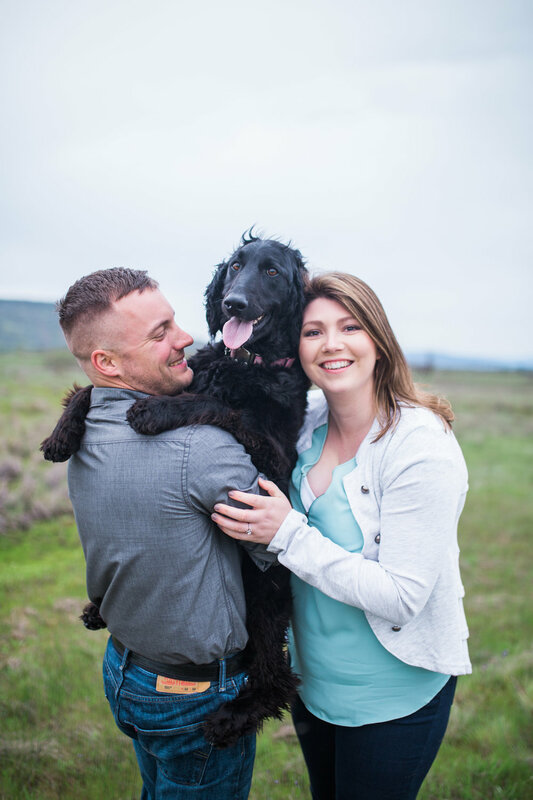 For this session I was able to bring an assistant to keep Ari occupied while we focused on more posed shots with Lauren and Mike. And I know you have to be wondering, yes, Ari is going to be a part of their wedding, and I'm crossing my fingers that Lauren's horse gets to make an appearance at the wedding too!